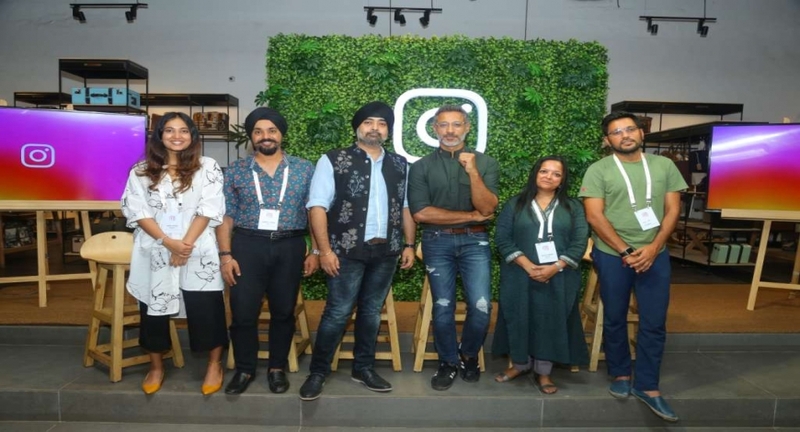 Leading homegrown fashion brands like Pero, Nicobar, Jaypore and Shantunu & Nikhil shared tips and tricks inspiring other businesses to leverage Instagram. From the craft of couture to street style, storied fashion houses to emerging designers and labels – Instagram has changed the way we experience and consume fashion. Understanding this change, Instagram in partnership with Lakme Fashion Week curated a masterclass with prominent homegrown brands and designers like Shantanu & Nikhil, Pero, Nicobar and Jaypore to discuss and share best practices inspiring other fashion businesses to harness the power of visual storytelling through Instagram. With a community of over 1 billion users worldwide, Instagram has become a platform where fashion is experienced first-hand. Whether it’s to showcase behind the scenes and highlight the journey of a garment, or to unveil new collection by going live from runway shows – the fashion community has embraced Instagram since the beginning and continues to push the boundaries by constantly innovating and experimenting on the platform. Recognizing the symbiotic relationship that Instagram and fashion has, during the masterclass, leading fashion entrepreneurs like Jasmeet Singh Arora, Chief Believer of the quirky Indie label Pero,Shilpa Sharma,Concept Curator and Co-Founder of prominent online Indian brand Jaypore, Raul Rai, Co-Founder of conscious fashion label Nicobar, Nikhil Mehra, Designer, Shantanu and Nikhil and JaspreetChandok, Vice President and Head of Fashion, IMG Reliance came together to share stories and experiences from their journeys. During the discussion, all panelists highlighted best practices and personal anecdotes about how Instagram has helped them leverage their business amongst the right target audience. Speaking about Instagram stories, Jasmeet Arora from Pero highlighted how the brand utilizes the ‘Live’ feature to showcase behind the scenes at the atelier, giving their audience a sneak peek into life at Pero. Raul Rai from Nicobar and Nikhil Mehra from Shantanu & Nikhil, spoke about the unparalleled visibility that a creative visual storytelling platform like Instagram has brought for their respective brands amongst their key audience helping it define and create a distinct position for itself in a crowded market. Shilpa Sharma spoke about the gradual growth of the brand Jaypore and Instagram’s role in helping them create a distinct visual identity in the fashion industry. With over 25 million businesses on Instagram globally, the platform is always looking for ways to help businesses meaningfully connect with the community. In the last 2 years, it has continued to evolve to better empower brands in reaching out to their target audience. Accounts that have upgraded to a business profile can now also gain insights into their account performance, promote posts, create ways for people to contact them and use a host of other tools available to leverage their businesses.